Royal Canin Kitten 36 4Kg with best discounts and offers. Age: For 2nd stage kittens up to 12months old. Contains certain healthy prebiotics such as mannan and digestible proteins that help to maintain the immunity by developing antibodies. By the time the kitten gets to around 4 months old, their growth rate slows, but their activity levels skyrocket. The high energy levels, developing bones, growing muscles, and emerging teeth, older kittens need a different kind of nutrition than a younger baby cat. 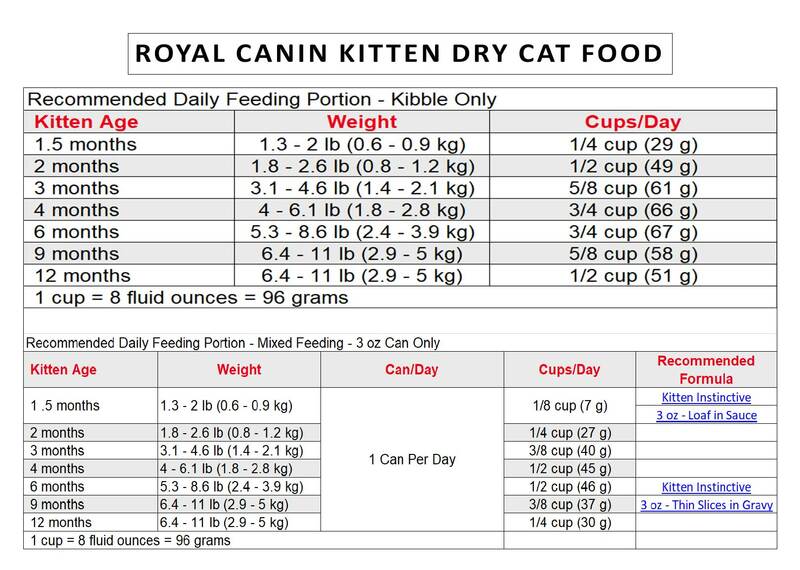 Royal Canin Kitten Dry Food gives your kitten a healthy start with nutritional precision: An innovative mix of highly digestible proteins, vitamins, and other essential minerals support their maturing digestive system and keeps their growing bodies strong. The exclusive blend of antioxidants supports their developing immune system. Transitioning from Mother & Babycat wet and dry formulas is easy: the small, easy-to-chew kibble made specifically for kitten mouths. Support for development of the kitten immune system with an exclusive blend of antioxidants and vitamins. The small kibble texture is easy to chew which is perfect for a kitten’s mouth and emerging teeth. The combination of high digestible proteins with fibers and the prebiotics helps to aid for older kittens developing digestive systems. Delivers a mix of proteins, minerals, and vitamins to meet for the high-energy needs of this stage in a cat’s growth. Ingredients: DL-alpha tocopherol acetate, L-ascorbyl-2-polyphosphate , niacin supplement, biotin, corn gluten meal, wheat gluten, corn, natural flavors, egg product, dried plain beet pulp, powdered cellulose, fish oil, vegetable oil, sodium silico aluminate, grain distillers dried yeast, sodium pyrophosphate, potassium chloride, pthiamine mononitrate , vitamin B12 supplement, folic acid, vitamin D3 supplement, taurine, salt, zinc proteinate, zinc oxide, manganese proteinate, copper sulfate, calcium iodate, ferrous sulfate, manganous oxide, sodium selenite, L-lysine, marigold extract, copper proteinate, magnesium oxide, carotene, rosemary extract, preserved with mixed tocopherols and citric acid, Chicken by-product meal, brown rice, brewers rice, chicken fat, syllium seed husk, calcium carbonate, fructooligosaccharides, hydrolyzed yeast, choline chloride, riboflavin supplement, D-calcium pantothenate, pyridoxine hydrochloride, vitamin A acetate. Calorie Content: Diet contains 3847 k.cal of ME/kg or 369 k.cal ME/cup on the feed calculated basis. Get 16% OFF on this product. Click on the extra offer Life Stage: Adult cats over 1+ year. Suitable for all cats. Complete and balanced nutrition with the optimal calorie count for adult cats. Get 20% OFF on this product. Click on the extra offer Quantity: 15 kg Life Stage: Adult cats over 1+ year. Suitable for all cats. Complete and balanced nutrition with the optimal calorie count for adult cats. Type: Cat treats. Quantity: 35gms in a pack of 3. Kittos Chicken jerky strips for cats. Rich in protein content. Suitable - Cats Quantity - 10ltr With natural, compostable &amp; biodegradable products. Long lasting up to 6-weeks. High absorption rate.